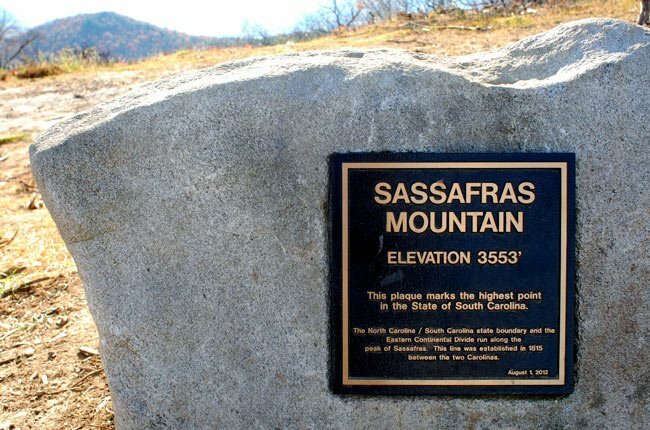 At 3,553 feet above sea level, Sassafras Mountain in Pickens County is the highest point in South Carolina. The mountain’s peak also serves as a border between South Carolina and North Carolina and a point on the Eastern Continental Divide. 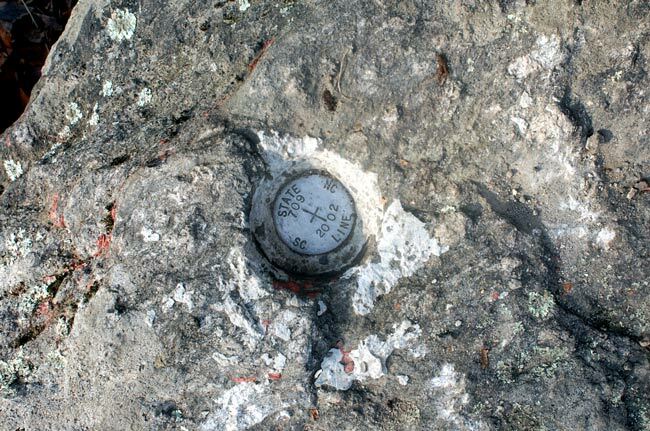 Though Sassafras Mountain boasts the Palmetto State’s highest point, Pinnacle Mountain within Table Rock State Park is the tallest mountain that is entirely within South Carolina, reaching 3,415 feet. 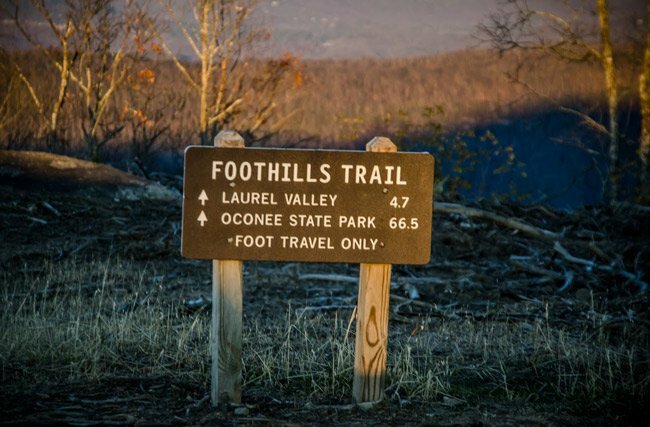 Sassafras Mountain is accessible on foot to backpackers, who reach the summit while trekking along the 77-mile-long Foothills Trail from Table Rock to Oconee State Park. Motorists can reach the summit via the F. Van Clayton Memorial Highway. In 2004 the South Carolina Department of Resources purchased the South Carolina portion of Sassafras Mountain from Duke Energy, which still owns the rights to the communications facilities located on the mountain. The aforementioned highway provides access to the energy company’s radio tower. 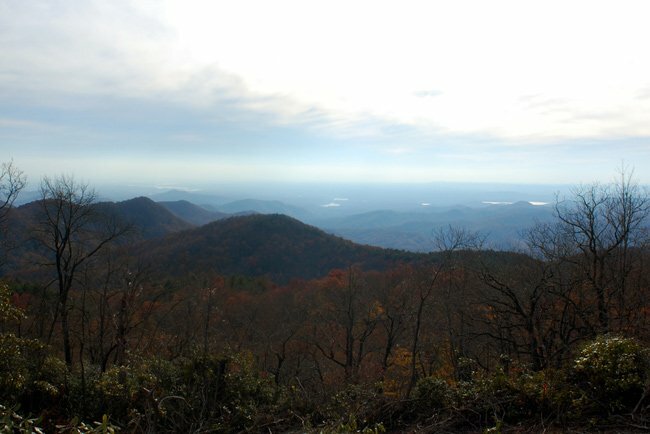 Historically, views from South Carolina’s highest peak have been obstructed by trees. Without a breathtaking mountain vista, trips to the top of the mountain have been more practical than recreational. 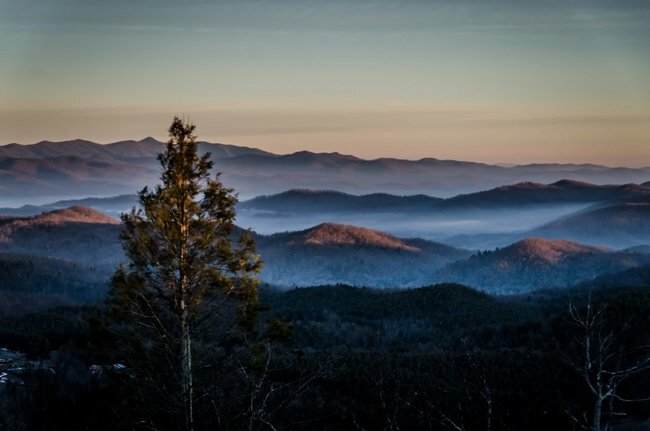 Both South Carolina residents and the SCDNR wanted to change that and make the state’s ultimate mountaintop a popular destination, not just a place for utility maintenance. The SCDNR cleared timber in 2010, building a viewing platform and igniting interest in people wishing to reach the summit. From the platform visitors can take in spectacular view of Lake Keowee and Lake Jocassee and even the peaks of Georgia, North Carolina, and Tenessee. In 2012 The Conservation Fund, a nonprofit conservation and preservation group, donated 4.8 acres of land on the North Carolina side of the apex to the SCDNR, placing the summit under full stewardship of South Carolina. 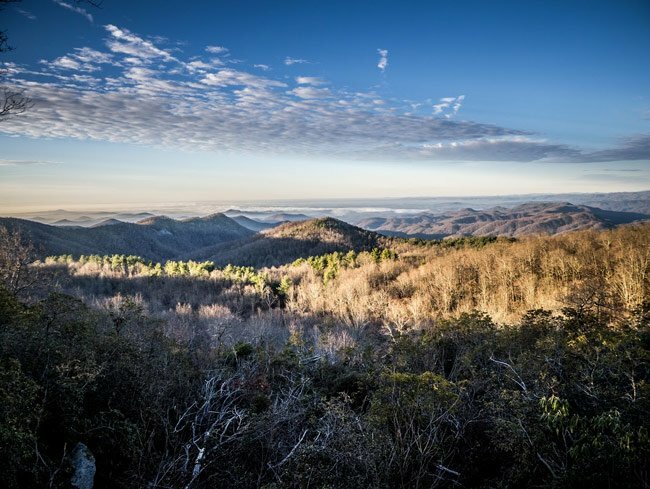 The nearly five acres were previously owned by North Carolina Congressman Charles H. Taylor, who sold 8,000 acres of land on the mountain’s North Carolina side to The Conservation Fund in 2010. The nonprofit group plans to convey the remainder of the land to the North Carolina Forest Service. 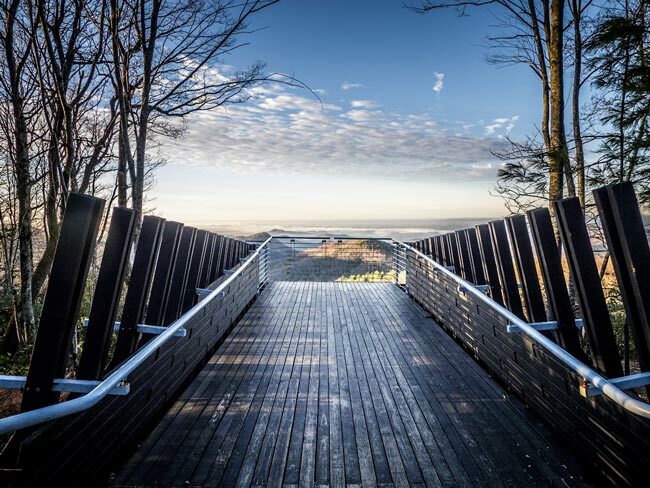 During the summer of 2014 three more acres of hemlock trees and mixed hardwoods – some of which were dead – were cleared at the summit to make room for a new observation tower. The clearing project began only after consultations with foresters and conservationists. Funds are still being raised to construct the 25-foot, handicapped-accessible observation tower. The project, called the Sassafras Mountain Improvement Project, is a joint effort from both public and private entities. Once built, the tower should offer 360-degree views of South Carolina, North Carolina, Georgia, and Tennessee. 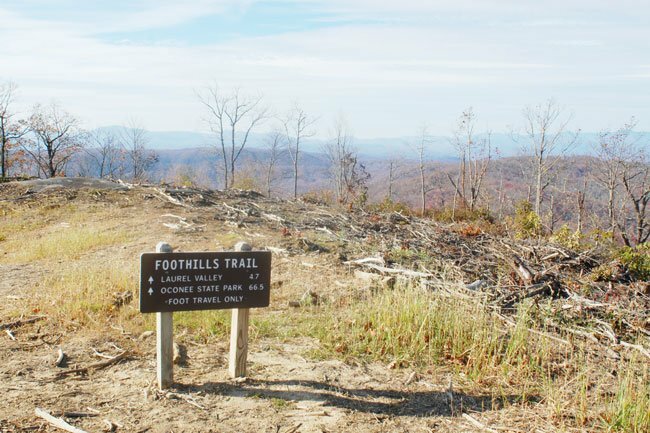 The development of more trails is another component of the Sassafras Mountain Improvement Project, along with picnic shelters and new restrooms.